This has been one of the things I always have to look up each time I do… boil an egg. I can never remember the right way to boil an egg, or how to do it where I don’ t over or under cook them. We were having lunch with some other families last week and a girl pulled out a boiled egg for lunch and my daughter had to try one. Well, now she is hooked. These make a great snack or lunch addition. They are high in nutrients and are a good source of protein, If you can get some farm fresh eggs, it is well worth it. So, here it is the perfect boiled egg, now it is your turn to try. Place 6-8 eggs in the bottom of a medium sized sauce pan. Fill with cold water one inch above the top of eggs. Pour out hot water, and refill with cold water. Let sit about 10 minutes, or until eggs cool off. Gently tap each end of egg and sides on a hard surface and gently remove egg peel. Voila. That is all you do. I promise it is so simple. Also, if you put the eggs into an ice “bath” (fill a bowl with water & ice cubes) then you don’t get the grey color on the outside of the yolk when it’s finished. 🙂 And they’re cooled off quicker too! I boil mine and then take off the stove and let sit covered for 15 mins. I think I got that from Betty Crocker 🙂 I took me forever to remember each time without looking up. To cool… I pour out the hot water and run cold over them. It is usually pretty quick for them to cool enough to work with. Just thought I would add a little tip that I came up with. After boiling the eggs, cover about half way with cold water then completely cover with crushed ice. When cool, roll the egg on the counter under your hand, and the shell will come off easily. oh, hadn’t heard that let me know if it works. What I would like to figure out is how to peel farm fresh eggs, which we have, they never peel nicely b/c they are so fresh. If anyone knows I would love to know the secret. I actually steam my eggs…takes so much less time and energy. Take 4 eggs, put them in a steamer basket with about 1/2″ of water in the bottom of the pot. Once the water begins to steam (about 3 minutes – as opposed to waiting much MUCH longer for water to boil in a large pot), clamp the lid on and let steam for 12 minutes. Then take them out, shock them in a ice water bath for 5 minutes. Then peel and eat! Yummy! This is a trick I learned from Alton Brown and will never go back. My grandmother pokes a hole in each egg with a thumb tack and then puts lemon juice in the water she says it keeps the middles nice and yellow. I just boil them for 10 minutes then remove to a strainer and run cold water over them. We went from living in Florida (sea level) to Mexico City, Mexico (7,500 ft) so I had to re-learn how to cook a lot of stuff at such a high altitude. So if any of your readers live in high altitudes this is how I boil my eggs. ~Put eggs in a large pot and cover with cold water and a lid. ~Bring to a gentle boil. ~Turn off the heat and do not touch for 30 minutes. 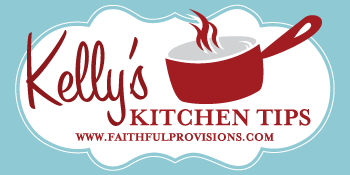 BTW – I am still learning how to cook here and we have been here for 8 years! Hard-boiled eggs are supposed to be easy but they can actually be very frustrating. Too done or not done. 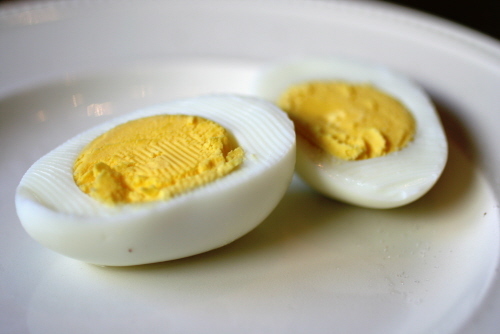 To know that your hard boiled egg is properly cooked, it should have one drop of yolk in the center that is still runny. They should not be cooked too quickly or they get rubbery and hard to digest. I have found that the best way is to place eggs in pan, add tepid water about an inch above eggs, bring up to a full rapid boil, shut off burner and remove pan from burner, let them sit for 5 minutes, and immerse in cold water. I usually peel mine before they are completely cool. My 2 kids love them still warm with some sea salt. Yummy! Thank you for sharing!! It’s so easy to have simple breakfast.